800.470.6970 Login User Created with Sketch. Magnifying Glass Created with Sketch. 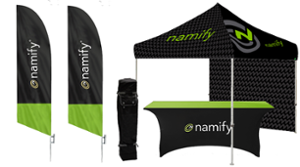 Amplify your event presentation with our custom canopies! Our custom canopies include everything you need for a successful event. Create the perfect display for trade shows, conventions, or outdoor events at unbeatable prices. 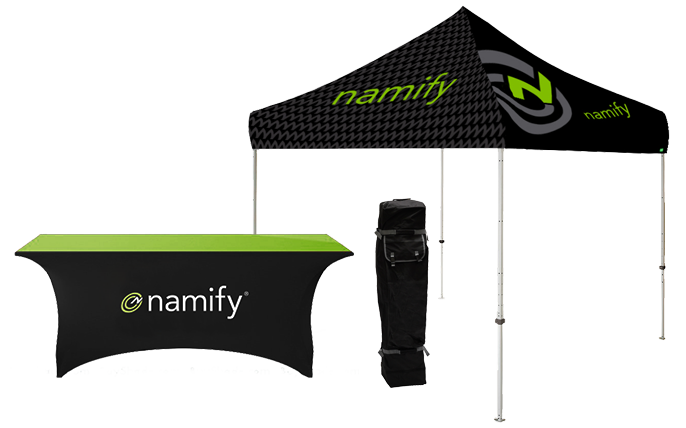 Our basic 10’x10′ canopy bundle includes everything you need to make an impact at your next event. Comes with a rolling bag to make transport easier, hex steel frame, canopy top, and stakes and tie-downs for outdoor use. Just want the essentials? This canopy bundle comes with everything in the basic package + a full-color fitted stretch table cover. Create full-color graphics on every side of your canopy and table cover for a display that really “pops”. The premium event bundle is the best-valued display package available. 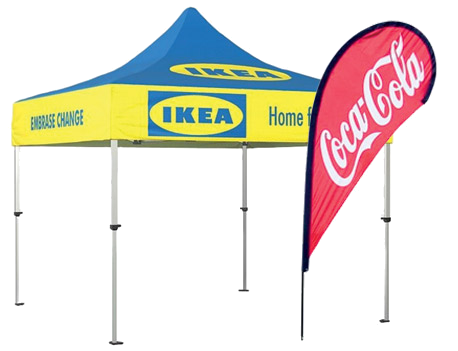 This deal includes everything in the basic and essentials packages, a full-color attachable canopy wall, and two 13′ double-sided flag banners with ground stakes. Our custom canopies come with everything you need for indoor and outdoor events at unbeatable prices. We offer the highest quality materials that are proven to last longer than the competition. Our canopies are lightweight and can be set up in just a minute. Simply expand the frame and push up until it locks to your desired height. We guarantee that you’ll love the quality and durability of your custom canopy. If we don’t deliver a 10/10 experience, we’ll work with you to earn the 10. Reviews are displayed live on our homepage because we thrive on customer feedback. Your brand matters to us and we take pride in providing the best customer service experience in our industry. Our canopies are so easy to set up, we wanted to put them to the test. 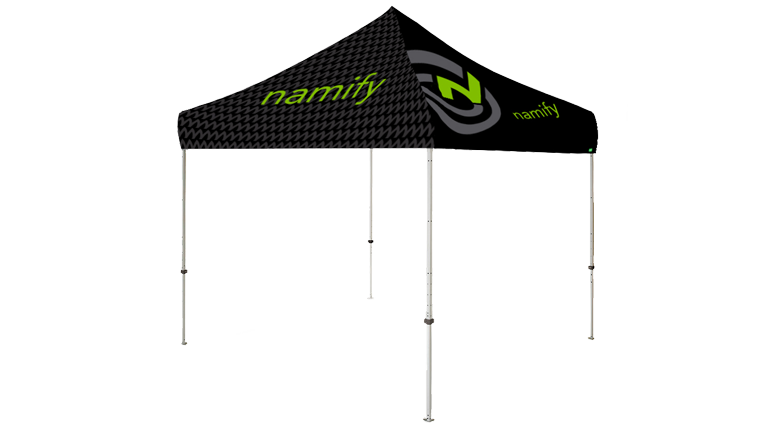 We asked four Namify employees who had never set up a canopy before to try setting one up – blindfolded. Watch this video to see how they did.